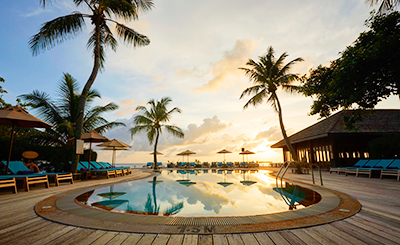 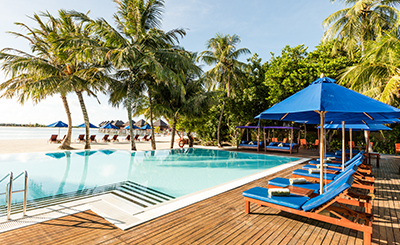 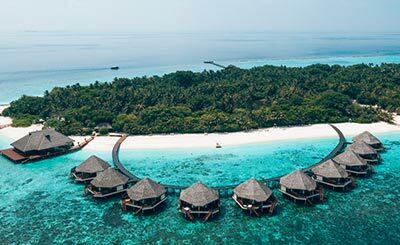 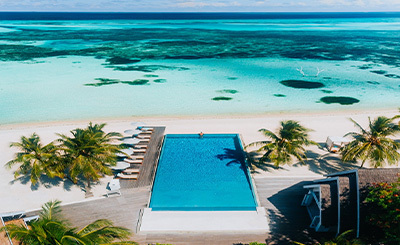 Adaaran Club Rannalhi offers 96 standard rooms and 34 spacious water bunglows with panoramic ocean views giving access to the changing scenery when day turns to night. 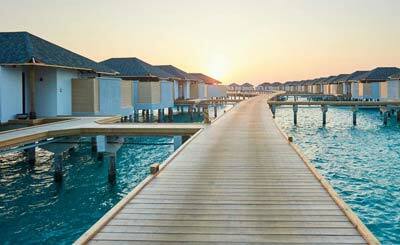 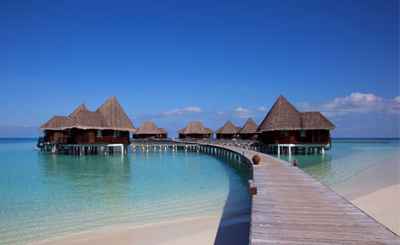 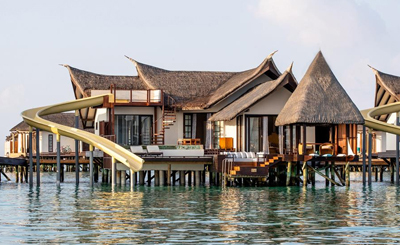 These bungalows on stilts stand majestically on top of the lagoon and gives a breathtaking view and scenery of the ocean. 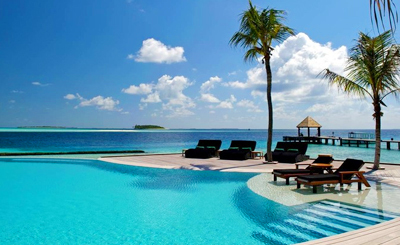 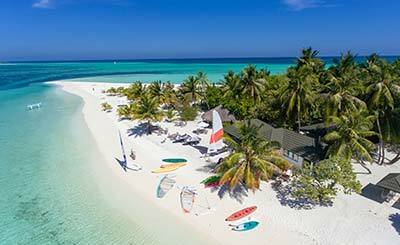 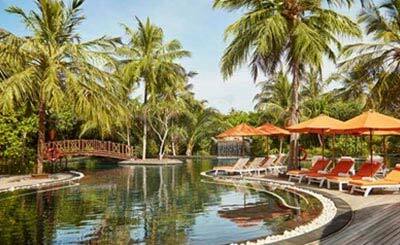 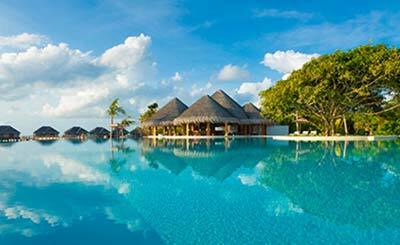 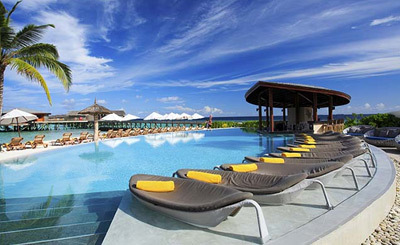 The resort offers plenty of activities like island hopping, diving and snorkeling for the guests. 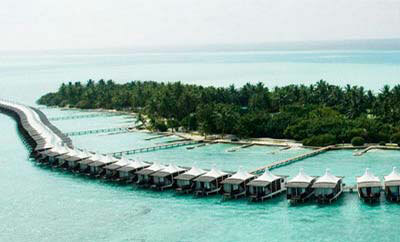 There’s really no limit to the water sports which the guests can enjoy at this resort. 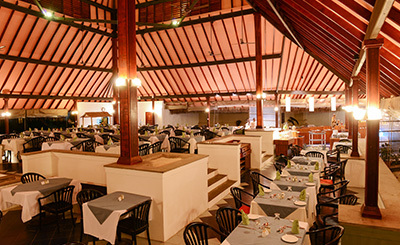 There is also a large restaurant area serving a wide variety of food and an extensive buffet selection. 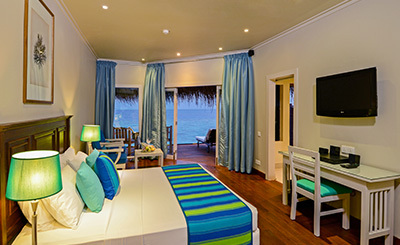 Guest can relax in the Nika Lounge Bar. 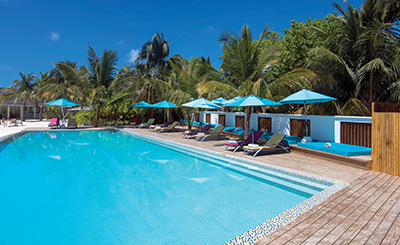 It is furnished with comfortable sofas and cushions and decorated in a contemporary style and offers tantalising tropical cocktails, chilled beer and fine wines. 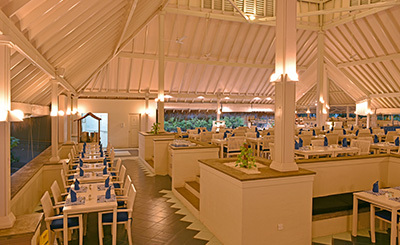 Coffee shop: Snack menus and a variety of hot and cold beverages form part of your all-inclusive package. 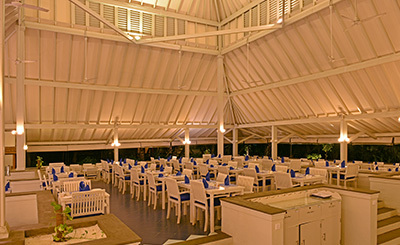 Two bars: A choice of places to sit, sip, meet and exchange fun and laughter. 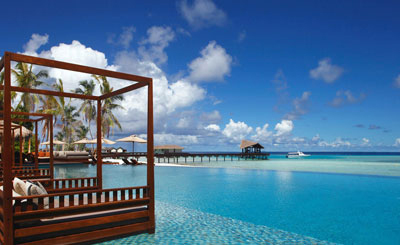 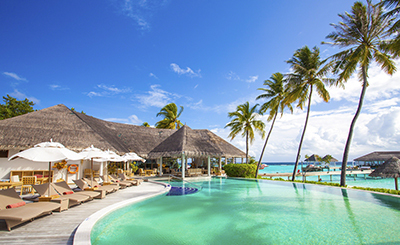 Watch the play of wind and water around award-winning Dhoni bar, or enjoy the more private ambience of the Bungalow Bar. 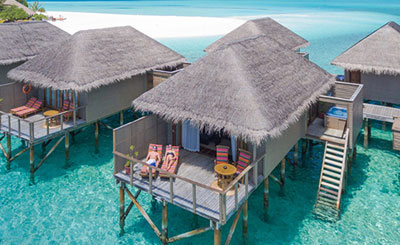 Club Rannalhis water bungalows are a luxurious experience in themselves a private sun deck and glass floor for reefwatchers. 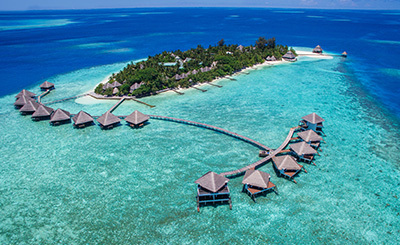 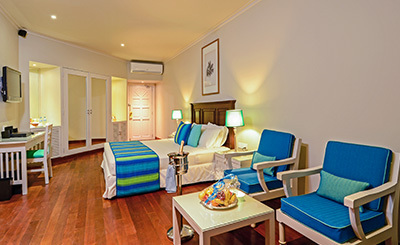 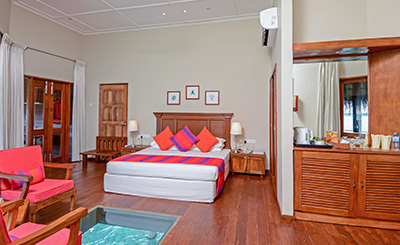 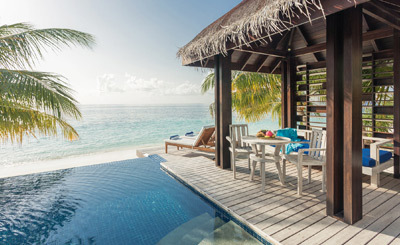 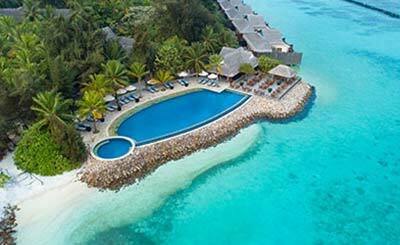 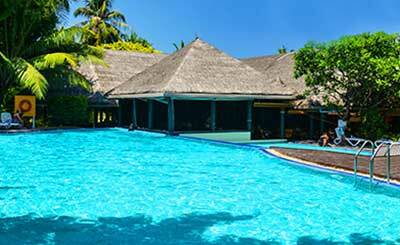 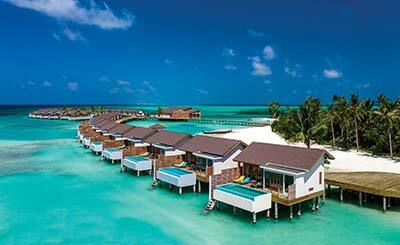 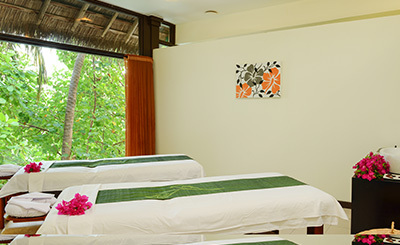 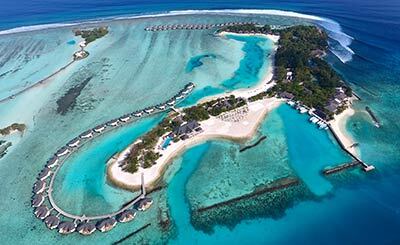 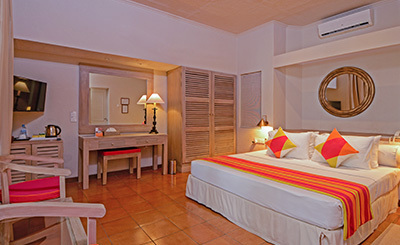 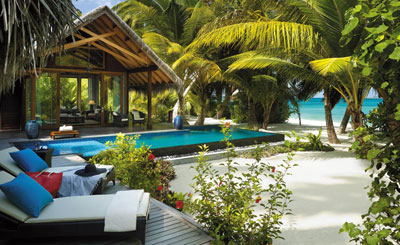 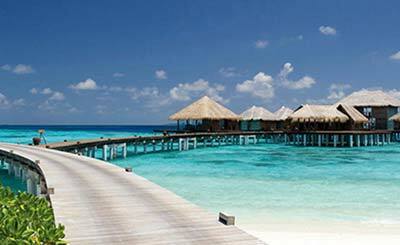 Rannalhi two storied chalets offer comfort and space in your private living area.